When you’re looking for a small-business loan, it’s not enough to look for the lowest monthly payments or even the cheapest interest rate. Before signing on the dotted line, it’s smart to know the clearest, most straightforward annual cost of the debt — that’s the APR. The annual percentage rate represents the true cost of the loan, whether you’re borrowing via a credit card, mortgage or personal loan. How does this differ from the interest rate? APR includes all fees associated with the loan, such as origination fees and monthly maintenance charges. Kabbage: The company says its $10,000, six-month loan costs $1,200 in fees for borrowers with an average Kabbage Score, which measures your business’s average revenue per month and credit history, among other factors. You may think this means the APR on the loan is 24%, since every six months it costs you $1,200 in fees on $10,000 (12% interest) and each month it costs you 2% APR (12% divided by six months equals 2%). Borrowers, however, don’t repay equal amounts each month. They repay more in the first two months ($2,066.66 each month) and less in the last four months ($1,766.67), while still repaying the same amount of fees. In this case, that’s an APR of just over 40%. Lending Club: The online lender advertises its business loans with fixed interest rates starting at 5.9%. When you factor in the one-time origination fee of 1.99% to 8.99% and other costs, the APR, or “total annualized rate,” ranges from 9.8% to 35.7%. Read our Lending Club review. OnDeck: Its six-month term loan of $21,000 costs $3,780 in fees on average, or 18 cents paid per $1 borrowed, according to OnDeck’s website. You may think the APR is 18% ($3,780 divided by $21,000 is 18%), but it’s higher since you need to include the one-time origination fee of 2.5%, calculate the APR over a period of 12 months (not six) and factor in the number of repayments you’ll make (OnDeck requires daily repayments that are debited from a bank account; this results in a higher APR due to daily compounding). Small-business loans from online lenders typically cost more than traditional bank loans, and there are a few reasons why. No collateral: Unlike traditional lenders, alternative online lenders likely will not require collateral: an asset that is pledged as security for repayment of the loan. For example, when you get a mortgage, the collateral would be your home, which is why mortgage rates are typically very low, as the lender can seize your home if you default on the mortgage. Small businesses are risky: Lending money to small businesses is riskier than lending to larger, more established companies with a track record. Approximately 50% of new businesses fail in their first five years, according to research by consulting firm Gallup. To offset this risk, a higher APR is charged. “To protect themselves against a potentially higher default rate — in other words, more small-business owners not being able to pay back the loan — online lenders charge higher interest rates,” says Alice Bredin, a small-business advisor for American Express Open. Lower credit scores: For online lenders, as opposed to banks and other traditional lenders, your personal and business credit scores are likely not as important a factor as your company’s sales and profitability. 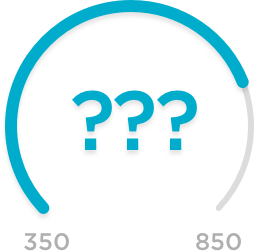 For example, OnDeck only requires its borrowers to have a personal credit score of at least 500, which is very low. A lower credit score means the borrower is a higher risk, which translates into a more expensive loan. There are a few factors other than the APR to compare carefully when choosing an online lender. Other fees and charges: Ask lenders questions about any fees or charges that have been added to the loan, such as early-prepayment penalties and application fees. “Really make sure you spend some time digging in to understand all the fees you’re being charged, what you’ll actually pay over the life of the loan, if there are prepayment penalties,” says Trevor Dryer, CEO and co-founder of Mirador, a small-business lending platform for financial institutions. Speed of application and funding: If your small business is in need of quick cash to meet payroll or buy inventory, the speed with which you receive the money may be the most important factor to you. Each online lender should be able to tell you how long the application process takes, plus how fast you can expect to receive the money after your loan has been approved. Lender reputation: You can search for reviews and complaints to find an online lender with a solid reputation at the Better Business Bureau, or by searching for reviews online. Reporting to credit bureaus: Small businesses should make sure the online lender reports payment activity to the credit bureaus, Bredin says, as establishing good business credit will increase your chances of getting a lower-cost loan in the future.